If you use Facebook, you probably have some pictures shared thru your Facebook account. I often take pictures with my Droid smartphone and upload them directly to Facebook. That means that I don’t get the opportunity to improve them in Picasa first. Horrors! My friends will see the picture as it was taken rather than after it’s been touched up. So, what do I do? I’ve checked on Facebook and the only built in tool for your photos is to rotate – meaning it will take a horizontal picture and turn it vertical etc. I could download the picture to Picasa, edit it there, and re-upload it to Facebook. But what if I don’t really want that picture on my computer? Or, what if I’m not even at my computer? Let’s say I’m on vacation and I’m just using a computer at an Internet café? You can use Picnik to do the editing all online. 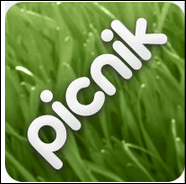 Picnik is the online photo editor that Google purchased a while back and incorporated it into Picasa. You can select a picture in Picasa on your computer and click the Edit in Picnik button to be able to use all the tools there. When you’re done, you’re back in Picasa. But Picnik is a standalone website as well, you don’t need to get there thru Picasa. Just go to www.Picnik.com. Many features of Picnik work just fine without even registering. 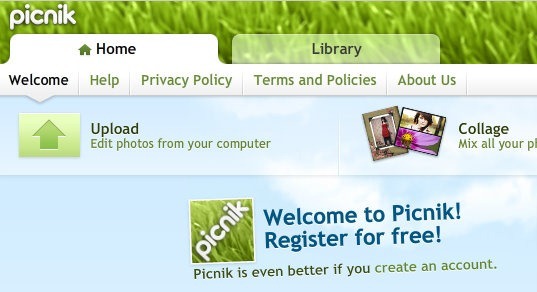 Just try clicking on ‘Get Started Now’ and you will be taken to Picnik’s home page. If you click on the Library tab, you’ll see a link for Facebook as well as other online photo sharing sites like Picasa Web Albums, Flickr, or Photobucket. Click on Facebook and then the Connect button. 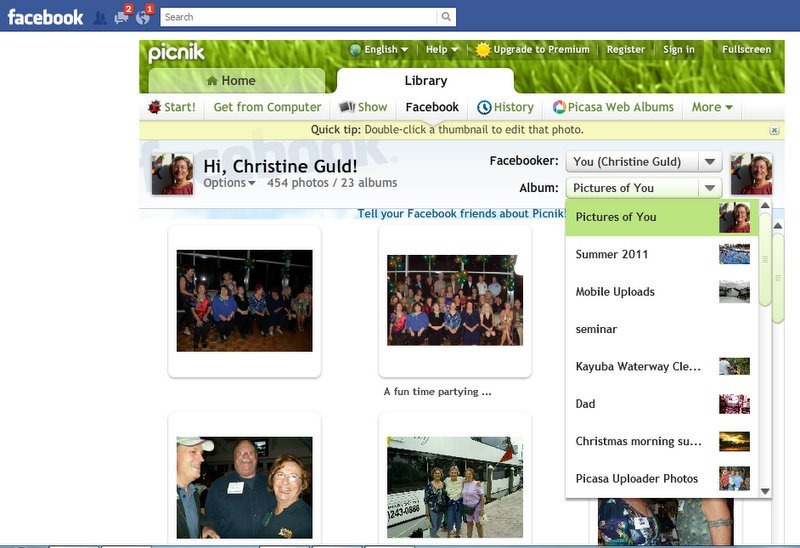 If you’re logged into Facebook on this computer already – Picnik will immediately show you all your photo albums on Facebook. If you’re not logged in to Facebook already, Picnik will present the Facebook login screen for you to complete. When you’ve logged in, you will see all the pictures in your Facebook profile. Find the picture you want to edit and double-click on it. This will load it into Picnik’s photo Edit screen. Now you have lots of tools for editing your photo. The first tab is ‘Basic Edits’ including Auto-Fix, Crop, Exposure, Colors, and Sharpen. You can also add text anywhere on your picture as well as ‘stickers’ which are clipart images. Be aware that certain features require a ‘Premium’ account. A premium account costs $25/year. When you have your picture looking how you want, you click on the Save and Share tab and click to ‘Save this photo to Facebook.’ This process will not save over your original – it creates a new picture in your Facebook album. Then, if you want, you can delete the old one using the tools in Facebook. Right from your home page in Facebook, you can go to the Picnik App in Facebook. Once the App is connected to your Facebook account it works just like Picnik on the web, you just have the Facebook menu bar still appearing at the top. You can open any album in your Facebook pictures, edit a picture in Picnik and Save it back to Facebook. Just realize that you’re saving a new copy of the picture – not overwriting the original. And it will get posted as an update on your wall as well. If you don’t want that just go immediately to your wall and remove the post – your picture will still be on your profile in the Pictures area. Published by MrsGeek, in Blog. Tagged with Editing Pictures in Facebook, Picnik online photo editing.